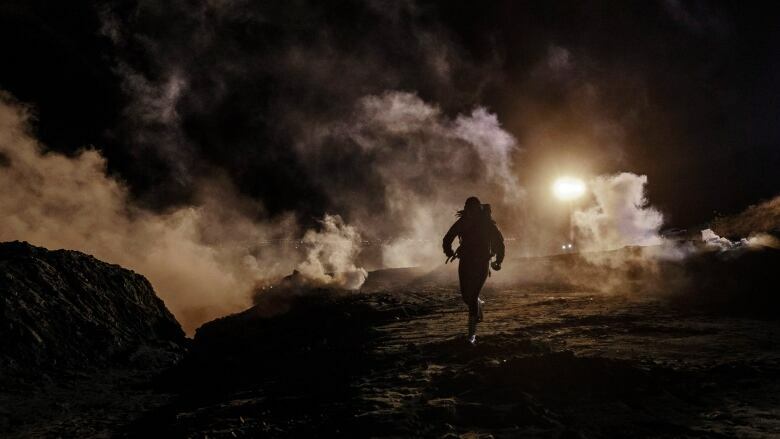 Mexico's Foreign Affairs Ministry has formally asked the United States government for a thorough investigation into a Jan. 1 incident in which U.S. Customs and Border Protection agents fired tear gas into Mexico to stop crossing migrants. Mexico's Foreign Affairs Ministry has formally asked the United States government for a thorough investigation into a Jan. 1 incident in which U.S. agents fired tear gas into Mexico to stop crossing migrants. In a statement Thursday, the ministry said it lamented any violent acts along its border. It reiterated its commitment to the safety of migrants. In the first hours of the new year, about 150 migrants on the Mexican side of the border attempted to breach the border fence in Tijuana. U.S. Customs and Border Protection said that agents fired tear gas at migrants throwing rocks. The agency said it was reviewing the incident. But an Associated Press photographer at the scene only saw rocks thrown after agents fired gas as migrants scaled the fence. Reuters also reported that a witness did not see any migrants throwing rocks at U.S. agents. Video of the incident, captured by a Reuters photographer, showed migrants on the Mexican side throwing tear gas canisters back into the United States, but did not show what prompted U.S. border officials' to use the gas in the first place. "No agents witnessed any of the migrants at the fence line, including children, experiencing effects of the chemical agents, which were targeted at the rock throwers further away," the U.S. border agency said in a statement Tuesday. The agency said border agents saw "toddler-sized children" being passed over concertina wire with difficulty. It said its agents could not assist the children because of the rocks being thrown. Agents responded with smoke, pepper spray and tear gas, it said. The AP journalist also saw plastic pellets fired by U.S. agents. Twenty-five migrants were detained, according to the agency, while others crawled back into Mexico through a hole under the fence. Migrants who spoke with AP said they arrived in Tijuana last month with the caravan from Honduras. The caravan, which left Honduras in mid-October, grew to more than 6,000 members during its month-and-a-half trek north. It has been a constant target of U.S. President Donald Trump, who referred to it frequently in the run-up to U.S. mid-term elections in November.